Xerocon always brings a raft of exciting product announcements, and this year’s Xerocon Melbourne 2017 is no exception. Top of the list is the Xero HQ, the open practice management platform, and we’re proud to be one of the their first integration partners. This partnership opens a world of new possibilities for Receipt Bank Partners to further increase their efficiency and better serve their clients. We’re honoured to have been picked by Rod Drury and the Xero team to bring these new benefits to accountants and bookkeepers worldwide. That @ReceiptBank to @XeroHQ integration is, well, awesome! Activate it now. As Xero’s largest and best-reviewed partner, our goals have always been to help accountants and bookkeepers add more value for their small business clients. That’s why we were so excited to use the new tools that Xero HQ offers. As more firms embrace the possibilities of cloud technology, the number of apps and services offered is growing. Xero HQ allows financial professionals to track tasks across all their apps at a glance. However nearly all of these tools, whether forecasting, reporting or insights, rely on up-to-date business data. And reliable business data starts with good bookkeeping. The heart of Xero HQ is the Activity Feed, where you can keep track of what your clients are up to in all your apps. Receipt Bank has created a range of bespoke notifications that push through to Xero HQ, so that you’re always up to date, while not being bombarded with alerts. This alert is triggered when an item is submitted that is more than 3 months old. The action takes you to the item in question so that they can publish it across to Xero or send an item message. This alert is sent when the client inbox exceeds more than 100 items. The action takes the Partner to the client inbox in Receipt Bank, specifically the ‘Ready to export’ tab, so that the Partner can easily start publishing items to Xero. Once an alert is triggered, no new alert will be sent for this client for another 7 days. This alert is sent daily and shows the Partner the total number of Xero match items that are waiting for review in the client inbox. The action takes the Partner straight to the inbox, allowing them to quickly publish all these items straight to Xero. Once triggered, this alert will not be triggered again for 7 days. This alert is triggered when the ‘Outstanding workload’ metric in Practice Platform exceeds the threshold of 10 hours for a client. The action takes the Partner to the ‘Client overview’ page within ‘Bookkeeping Analysis’, so that they can easily focus on the clients that need the most attention. Once an alert is triggered, no new alert will be sent for this client for another 7 days. Partner who use our all-in-one bookkeeping dashboard, Practice Platform also get access to two extra notifications. This alert can only be triggered when a client has submitted an item within the last 3 months, but the Partner has not published any items within the last 3 months. The action takes the Partner to the client inbox, immediately identifying which clients they need to prioritise. This alert is triggered when a client user responds to an item message sent by the Partner. The action takes the Partner to the message thread within the item, allowing them to reply there and then. Xero have led the way in building a connected ecosystem that adds more value for accountants, bookkeepers and their small business clients. 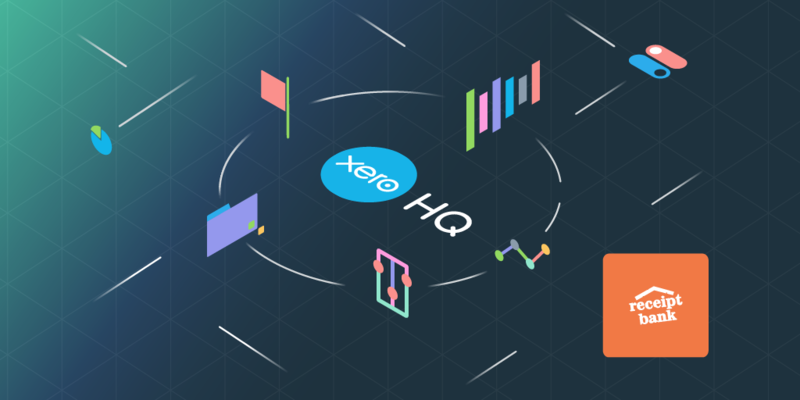 Xero HQ will help all of them leverage these connections to the fullest. We’re proud to be a part of it and to bring better, real-time data to more businesses than ever.